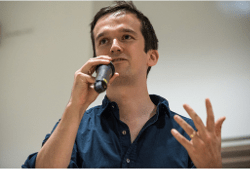 Emer draws on the work of Jürgen Habermas, a sociologist and philosopher whose theory of the system and the lifeworld helps describe the difference between New Public Management and Open Governance. In short, the New Public Management model involves government (“the system”) choosing the tune and forcing the public (“the lifeworld”) to dance to that tune (“colonisation”). You can only hold government to account according to the data that public managers decide to collect and disseminate. Open Governance on the other hand allows for meaningful dialogue between government and civil society, leading to what Habermas called “communicative action” where people talk about complex issues and then act (and hold to account) based on a common understanding. While the London Assembly has started to embrace open data and social media, I think it has been fairly superficial. Or rather, in Emer’s terms, it has remained within New Public Management model. Scrutiny of the Mayor is carried out by committees of Assembly Members with goals and performance established by public managers and politicians; social media is used for the most part to communicate that to the public. 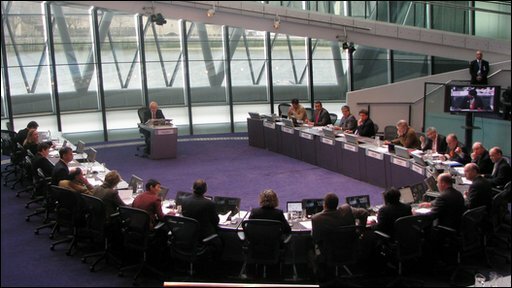 The London Assembly, for those out of the loop, is an elected body of 25 politicians who hold the Mayor of London to account. I want to pick up on a comment by Janet Hughes, Head of Scrutiny in the London Assembly, that “media, bloggers, members of the public… should all form part of an overall picture – its not about competing with each other but it’s about all these different parts coming together to ensure maximum accountability and transparency”. I want to very quickly sketch how committees currently carry out their scrutiny work, then suggest a way in which they might embrace an open scrutiny model that allows for communicative action rather than colonisation. I don’t pretend to have arrived at a complete description of Scrutiny 2.0, but hopefully it will provoke some further comment. When the Environment Committee carried out two investigations into street trees, first in 2007 and then again in 2011, the subject and the terms of reference for the scrutiny were drawn up by Assembly Members and support staff. In each case the public were invited to submit written evidence according to those terms and further framing questions; the public were already colonised by the system. Invited experts gave evidence at public meetings, with scant opportunity for further public input. The reports were then drafted by support staff entirely within the Assembly, behind closed doors, and when the Assembly Members signed off on the reports the public were offered a finished product. Some very good scrutiny products, I should add. But to the extent that they could be involved further, the public were left to comment on the committee’s work and press Assembly Members if they wished the committee to follow any aspect up. At times, there is even an understandable but worrying tendency to think that the public’s input isn’t particularly helpful. Committees often scrutinise complex technical subjects such as the housing market, and so highly trained support staff look to highly trained experts for input. No effort is made to engage in a wider discussion with the public; it is more time consuming and, compared to expert discussion, does little to advance scrutiny according to the terms and frames set within the system by support staff and politicians. Now, the second report on street trees was particularly interesting because it identified lack of data as a major barrier to the committee’s being able to hold the relevant public bodies to account. In the New Public Management model, the system wasn’t enabling proper performance management. 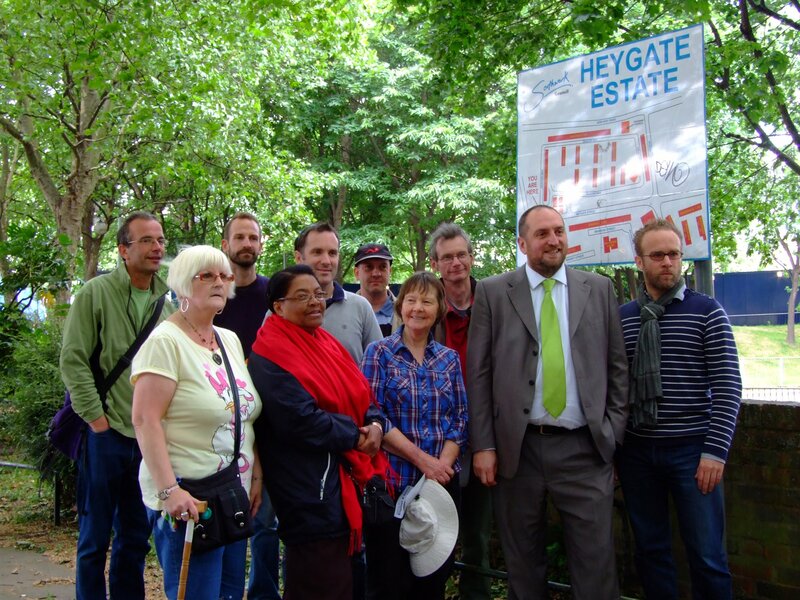 It also carried a case study on the local community in Elephant & Castle crowdsourcing their own data to bolster their case for saving the “Heygate forest”, something I’ve blogged about here. The activists didn’t map the trees and estimate their financial value as part of an antagonistic anti-council and anti-developer campaign; they are trying to engage in a meaningful dialogue with both before the council and developer draw up plans behind closed doors that decide the fate of the trees. Planning consultations at that stage are a perfect example of the system colonising the lifeworld. If only the council and developers would really embrace the activists’ open approach it would be a wonderful example of Habermas’ communicative action. Now then, what would the Assembly committee’s next scrutiny on street trees look like if this process really was “adaptive and iterative”, if the committee sought to “come together [with the public] to ensure maximum accountability and transparency”? The second report published this year was iterative in that it updated the findings of the first, and adaptive in that it looked at new issues such as open data. But that iteration and adaptation was done within the system, by Assembly Members and support staff. Perhaps in the next four years we will see more examples of activists using data to record and communicate their stories just like the Heygate activists – about trees being cut down, ruined by overzealous council pollarding or damaged by weapon dog training. If the support staff were to pick up on this not just as an indication of issues it should examine but as data and perspectives to be analysed then the iteration and adaptation between reports would start to be more open without needing a costly and difficult public consultation exercise. Maybe social media like Twitter will also be so widely used by Assembly Members, support staff and activists that the work in between public meetings will be communicated and therefore in part conducted online, in public. Assembly Members might discuss terms of reference with activists; support staff and activists might discuss initial findings and potential recommendations. Bloggers from avid Mayor watchers to tree huggers would contribute their own more developed thoughts as the scrutiny process unfolds, offering useful new data, questions and perspectives for the committee to consider. Iteration and adaptation would be rapid, throughout the process of a single report than rather than in the years between reports. In this model, the committee doesn’t assert itself outside the lifeworld, part of the system that scrutinises another part of the system. Instead, the committee conducts its scrutiny in partnership with the lifeworld, with the public. The London Assembly remains relevant at least because of its well trained and managed staff, and necessary in view of its democratic function. I’m no futurologist so my sketch of open scrutiny is probably deeply unadventurous. It is conceived from within the New Public Management model of a committee of politicians scrutinising a topic and producing a report. But I think it takes us beyond that model in an important sense, seeing scrutiny as a kind of communicative action where the committee, bloggers and activists come together to, in Janet’s words, “ensure maximum accountability and transparency”. Previous Post Can crowdsourcing improve open data? Southwark are two or three steps behind the ideas I’ve expressed in my main post! Not even managing to put basic information on their web site to assist public scrutiny is pretty crap. I’ve met a few officers in the council who are more community-minded, but when they move on you’re left with the corporate culture that is completely useless for us.